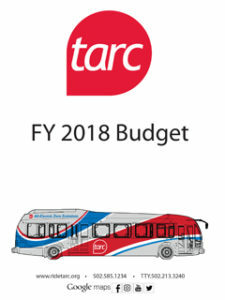 The Transit Authority of River City utilizes a variety of resources to fund its annual budget. 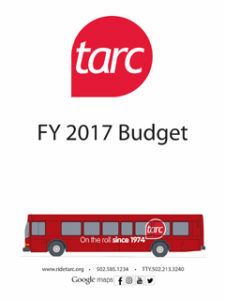 The majority of its funding (nearly 60 percent) comes from the Mass Transit Trust Fund financed by local occupational tax revenue. 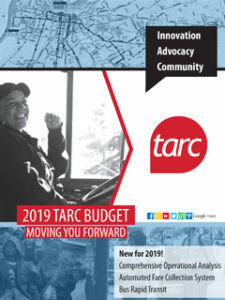 Nearly 19 percent of its funding comes from the federal government, and 15 percent comes from farebox collection and passes. The remainder comes from a combination of Kentucky and Indiana state funding, special fares, advertising revenue and additional minor funding sources.